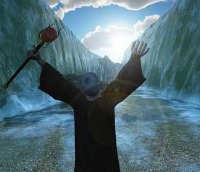 Moses red sea crossing is another miracle act of God, that occurred after the 10 plagues. After Pharaoh let the Israelites leave Egypt he changed his mind and chased after them. The Israelites were trapped between the Red sea and Pharaoh's army. 5. And it was told the king of Egypt that the people fled: and the heart of Pharaoh and of his servants was turned against the people, and they said, Why have we done this, that we have let Israel go from serving us? 7. And he took six hundred chosen chariots, and all the chariots of Egypt, and captains over every one of them. 8. And the LORD hardened the heart of Pharaoh king of Egypt, and he pursued after the children of Israel: and the children of Israel went out with an high hand. 9. But the Egyptians pursued after them, all the horses and chariots of Pharaoh, and his horsemen, and his army, and overtook them encamping by the sea, beside Pihahiroth, before Baalzephon. 10. And when Pharaoh drew nigh, the children of Israel lifted up their eyes, and, behold, the Egyptians marched after them; and they were sore afraid: and the children of Israel cried out unto the LORD. Moses Red sea experience was quite eventful. Because the people were trapped they started accusing Moses of bringing them into the wilderness to die. Thankfully Moses had faith and trust in God, and obeyed his commands. 11. And they said unto Moses, Because there were no graves in Egypt, hast thou taken us away to die in the wilderness? wherefore hast thou dealt thus with us, to carry us forth out of Egypt? 12. Is not this the word that we did tell thee in Egypt, saying, Let us alone, that we may serve the Egyptians? 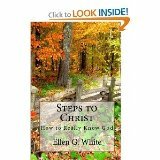 For it had been better for us to serve the Egyptians, than that we should die in the wilderness. 13. And Moses said unto the people, Fear ye not, stand still, and see the salvation of the LORD, which he will shew to you to day: for the Egyptians whom ye have seen to day, ye shall see them again no more for ever. 14. The LORD shall fight for you, and ye shall hold your peace. 16. But lift thou up thy rod, and stretch out thine hand over the sea, and divide it: and the children of Israel shall go on dry ground through the midst of the sea. Just before Moses Red sea miracle occurred, God blocked the Egyptians from reaching the Israelites. In addition to Moses Red sea miracle was the miracle of how God had light shining on the Israelites while the Egyptians were in the dark. 20. And it came between the camp of the Egyptians and the camp of Israel; and it was a cloud and darkness to them, but it gave light by night to these: so that the one came not near the other all the night. For Moses Red sea crossing God made it appear that Moses parts the Red sea. Can you picture Moses parting the Red Sea? What an awesome event. And notice that the Israelites crossed the Red sea on dry not damp ground. 21. And Moses stretched out his hand over the sea; and the LORD caused the sea to go back by a strong east wind all that night, and made the sea dry land, and the waters were divided. The scary / crazy part of the story, of Moses Red sea crossing, was when the Egyptians followed them in. 23. And the Egyptians pursued, and went in after them to the midst of the sea, even all Pharaoh's horses, his chariots, and his horsemen. 25. And took off their chariot wheels, that they drave them heavily: so that the Egyptians said, Let us flee from the face of Israel; for the LORD fighteth for them against the Egyptians. However the Israelites sang praises later, because Moses red sea miracle did not end with Moses parting the red sea. Moses also brought the waters back together again destroying the Egyptian army. 26. And the LORD said unto Moses, Stretch out thine hand over the sea, that the waters may come again upon the Egyptians, upon their chariots, and upon their horsemen. 27. And Moses stretched forth his hand over the sea, and the sea returned to his strength when the morning appeared; and the Egyptians fled against it; and the LORD overthrew the Egyptians in the midst of the sea. 28. And the waters returned, and covered the chariots, and the horsemen, and all the host of Pharaoh that came into the sea after them; there remained not so much as one of them. 29. But the children of Israel walked upon dry land in the midst of the sea; and the waters were a wall unto them on their right hand, and on their left. 30. Thus the LORD saved Israel that day out of the hand of the Egyptians; and Israel saw the Egyptians dead upon the sea shore. 31. And Israel saw that great work which the LORD did upon the Egyptians: and the people feared the LORD, and believed the LORD, and his servant Moses. Moses Red sea miracle should reassure all of us that God will fight our battles for us in miraculous ways. No need to fret.